Open meeting -all welcome – contact sutrleeds@gmail.com / @SUTRLeeds for more information. 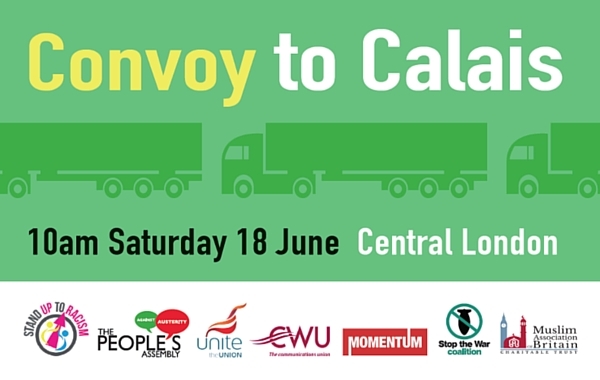 If you can give aid of any sort, material or financial, for our Convoy to Calais please do. Better still come on the convoy yourself. Any vehicle will do: lorry, bus, coach, van, minibus, car, taxi, motorbike or scooter! A boat carrying more than 400 people has capsized in the Mediterranean and all are feared drowned. The overloaded boat was travelling from Egypt to Italy, carrying refugees largely from Somalia, Eritrea and Ethiopia. The current policy of the British and other European governments will lead to further such deaths. Exactly a year ago, on 18 April 2015, some 850 people died in a similar tragedy brought sympathy from the public which forced the government to temporarily change its policy to rescue migrants. Since then it has done everything in its power to turn that sympathy to hostility—specifically saying that people who have had the enterprise to make the journey should be sent back and only those who have not travelled should be allowed into Europe. The government argues that rescuing people is a pull factor, but a recent report shows that the desperate people will come anyway. But more will die if they are not rescued. About 60 people died in the first four months in 2014, but that rose to 1,687 in the first four months of last year. The figure is likely to rise again this year as the crisis worsens. The deal between the EU and Turkey treats refugees appallingly, but even this only talks about refugees from Syria. This week’s tragedy is a reminder that the refugee crisis is much deeper. 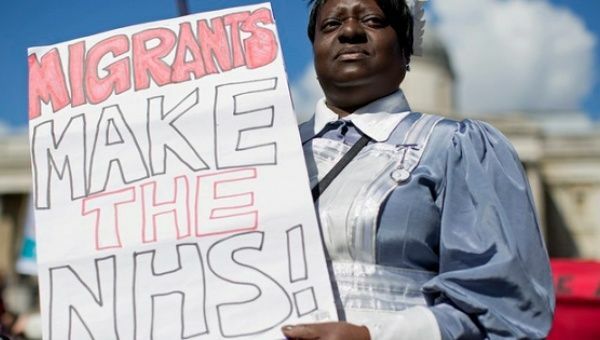 Migrants make the NHS – Join the Yorkshire March to Defend it!